Florence is one of the most famous and beloved cities in Italy, rich in art, culture, good food and breath-taking scenery just outside the centre. So, it’ s no surprise that it’s one of the most popular wedding day destinations in Europe! 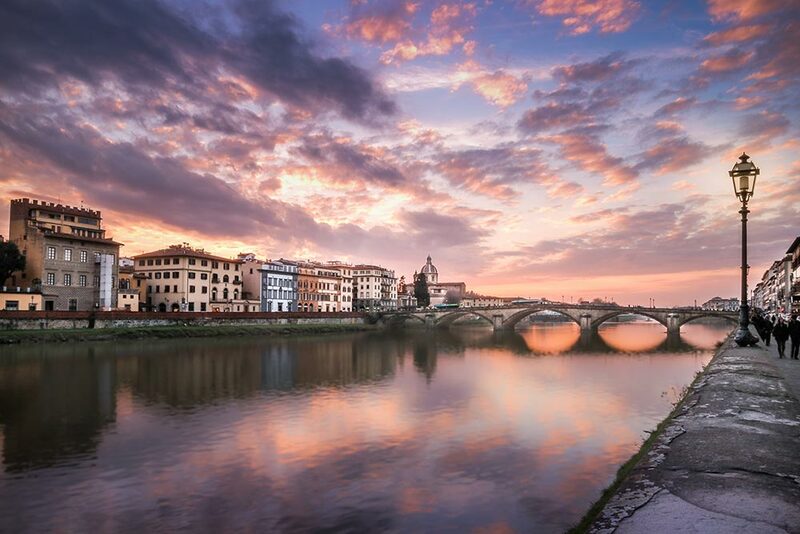 Many have visited the city at least once in their lives to admire its great artistic heritage: the Duomo, Ponte Vecchio, Palazzo Pitti, the Boboli Gardens, the Uffizi Gallery, just to name a few examples. And pages and pages would not be enough to list all the fabulous beauties that this city has to offer. But it’s not just about art: the streets of the centre of Florence are also full of craft workshops, boutiques of the world’s most famous brands of fashion made in Tuscany, restaurants where you can taste delicacies of the Tuscan cuisine accompanied by an excellent wine and surrounded by an unforgettable atmosphere. In this magical city you can have a real gastronomic experience, enjoying typical dishes such as tomato soup, ribollita, bruschetta with olive oil and of course the famous Florentine steak, just to name a few of the most famous, perfect to serve even at your wedding banquet. Here you can also immerse yourself in the local folk culture, discovering centuries-old rituals and traditions that only a few can say they have lived in person. A few examples? The Florentine Historical Soccer team,which every year in June involves with passion the city districts in a truly heartfelt match, or the Explosion of the Cart, an event that sees Piazza del Duomo crammed with people on Easter Sunday. Florence is like this: no matter where you are, no matter what part of the city you’re walking through, there’s always a piece of history to admire. And it’s impossible not to fall in love with it! 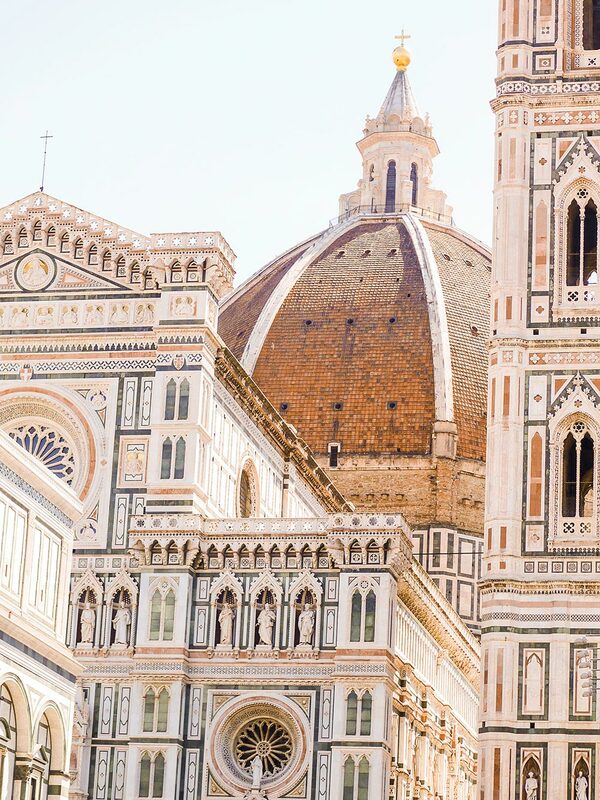 Getting married in Florence is a real dream for many people. It’s time to open your eyes, though, because realizing it is not impossible at all! Any idea you have for your wedding, in Florence and its surroundings you can make it a reality: would you like a ceremony in a truly luxurious location, to be the envy of royal families? Do you prefer a country-chic style, surrounded by nature but still close to the city? Or would you like a classic style wedding, but with a touch of originality, maybe in the heart of Florence? The choice is yours! In any case, the Tuscan capital will be ready to welcome you. For example, if you love romantic atmospheres, luxurious details and desire a wedding with a classic style but also quite sumptuous, a few minutes from Florence you can find several villas that could suit your needs. The ceremony in the villa is a classic but never goes out of fashion, and in the heart of Tuscany you will be spoilt for choice. Many villas, for example, have beautiful gardens that can be set up both for the time of the ceremony and for lunch or dinner to follow. In these magnificent green spaces, you can also take pictures of your wedding, with breath-taking landscapes around. Also, the environment of the villa is perfect for any season: in case of bad weather, or if you get married during the coldest seasons, there is no shortage of space inside, and in many cases, there are also rooms for guests, if someone wanted to stay overnight on the night of the wedding. If you prefer something different to the idea of ​​a classic villa, but above all you want a luxurious, elegant and romantic ceremony right in the heart of Florence, then consider organizing your ceremony in a Luxury Hotel. In the city centre, a few steps from the most famous artistic beauties of the world, you will find for example the Four Season Hotel, which has nothing to envy to the best villas just outside the city. Here you can organize the ceremony inside the chapel in the hotel, or if you prefer in the beautiful outdoor garden, also called Giardino del Tempio (Temple Garden), a green space hidden in the heart of Florence that will reveal itself to your eyes in all its glory, with a capacity of up to 1000 people. 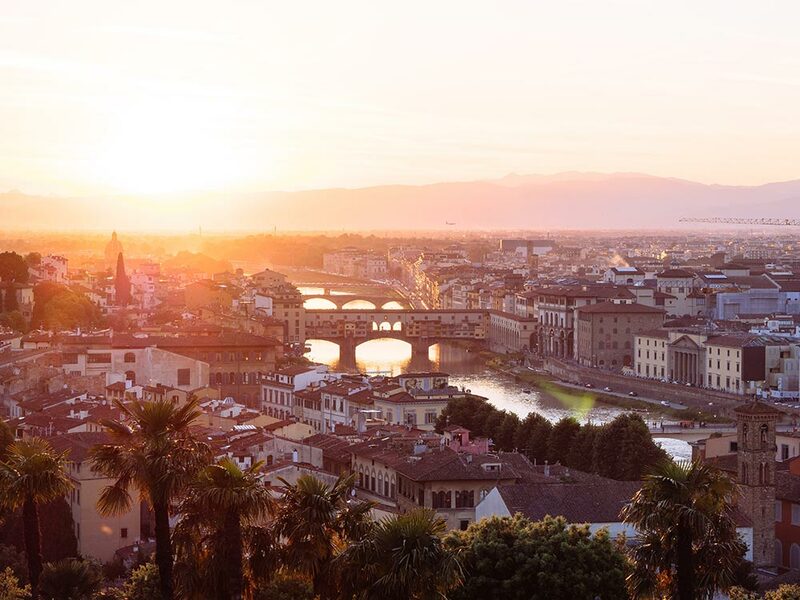 From the hotel, it will be easy to get around for photos in Piazza Duomo, Ponte Vecchio or Piazzale Michelangelo: all the most beautiful places in Florence will be close at hand, for truly unforgettable memories. The hotel is also the perfect solution if you have a large number of guests, many of whom come from abroad, and you want to offer them hospitality for a night: there is no shortage of space here, and the rooms are simply magnificent! Another truly perfect style for a wedding in Florence and its surroundings is the rustic setting: what better location in Tuscany for a ceremony surrounded by greenery, among the hills of the Chianti wine, with dinner on a summer evening at sunset? A few minutes from the capital of Florence there are hundreds of country houses and farmhouses that offer their premises for events and ceremonies. There are some really a few minutes from the city, which allow you to move easily to downtown for photos, or those completely surrounded by greenery, that allow newlyweds and guests to easily visit Florence in the days following the ceremony if they wish to. Farmhouses in the countryside are the ideal solution for those who choose to get married in summer and want to enjoy an outdoor ceremony, for those who love the country-chic style, do not want to give up elegance but prefer a more informal environment than luxury hotels or villas. Be mindful, however, of the weather forecast: depending on the season, some farmhouses may not have suitable indoor spaces to accommodate many guests at the time of the ceremony and immediately after. We recommend choosing this type of location if you wish to get married in the summer, or we suggest you inform yourself about the possibility of setting up gazebos outside that are suitable for use even in case of rain. Have you always envisioned your wedding in a fairy-tale, dreamlike place, like a real royal family from yesteryear? Even in this case Florence can fulfil your wishes. In this area of ​​Tuscany there are many castles of medieval origin which today host different types of events. Here there is no shortage of space: the number of guests is almost never a problem, both for indoor and outdoor environments, and even the overnight stay, for both the newlyweds and any guests, is easy to organize. In most castles it is necessary to arrange your own lunch or dinner after the ceremony, entrusting it to an external catering company. If you love princely style, however, you will certainly adore this type of location: it is the ideal balance between elegance, luxury and rustic style, a perfect setting that reflects all the beauty of Tuscany. The photos of your wedding will remind you of a special day and a magical place, ideal for experiencing emotions that you can only experience a few times in a lifetime! In short, whatever your style may be, Florence and Tuscany will welcome you with all their warmth and beauty. You will fall in love with these places, and you will surely find the perfect location for you. 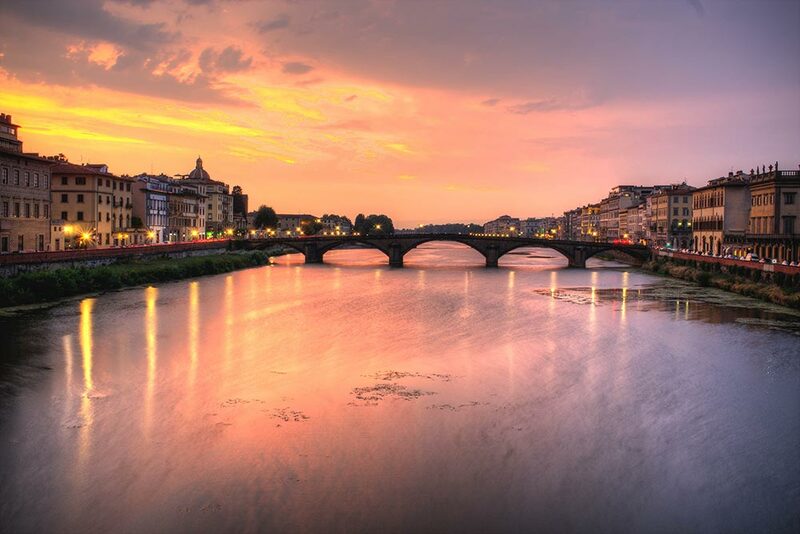 A wedding in Florence is a dream, to make it a reality is only up to you!